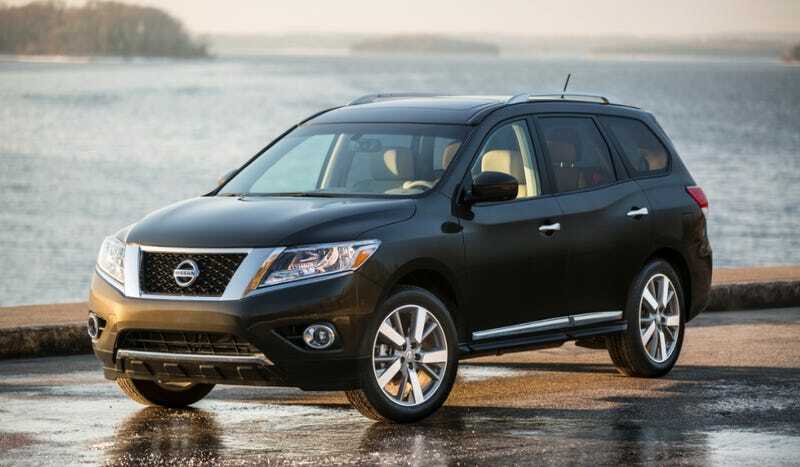 The Nissan Pathfinder is a car with the name of an off-road SUV but the body of a crossover. 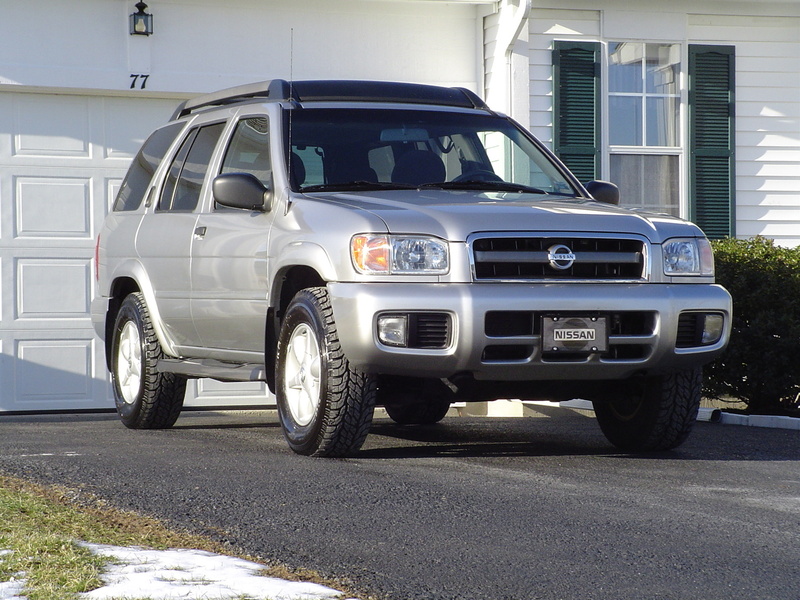 What do you need to know before you buy a Nissan Pathfinder? Don’t worry, we’ll tell you everything right here in our Buyer’s Guide. Like Patrick George said in his first look, when people hear the word “Pathfinder,” they usually think about the boxy WD21 Series or even the rugged R50 Series. Those cars carried the Pathfinder name well, as they could actually go off-road and find, err, paths. But the only paths the new R52 Series is going to find are the paved roads between your house and your Yoga studio. Like Toyota’s Highlander, the Pathfinder is built on the same platform as the flagship car, and that makes this three-row CUV really comfortable to drive, spacious, and rather fuel efficient, as we found when we reviewed it. But the new Pathfinder is really not going to be beasting it off-road like its name or its history suggest. Still, the SUV segment has changed, and fuel economy and ride comfort are much more important than genuine off-road capability these days, even though we here at Jalopnik are big fans of off-roading. We’re enthusiasts, though, and most buyers only use four-wheel drive to conquer the small layer of slush in their driveways. For them, the Pathfinder is worth a look. The fourth generation Nissan Pathfinder debuted in 2012 for the 2013 model year and featured a much more car-oriented platform than Pathfinders of yore. Gone was the body-on-frame Nissan F-Alpha platform, replaced by the same D Platform that makes up the underpinnings of Nissan cars like the Altima and Maxima. That 2013 Pathfinder launched with a 3.5-liter 240 horsepower V6 and a CVT automatic, and a hybrid model was added a year later for 2014. 2015 brought a revised CVT with a feature called “D-Step,” which lets the CVT seem more like a conventional auto via fake gear changes. 2015 also brought hill descent control to all 4wd models and a few other tweaks to safety features. Otherwise, the 2015 model isn’t much different form the one that debuted three years ago in Detroit. The Pathfinder comes in four trims: S, SV, SL, and Platinum. All trims come with the same 3.5-liter V6 and CVT automatic, as well as electro-hydraulic power steering, a front MacPherson Strut suspension, and a multi-link rear design. Standard features even on the S model are plenty, including: tri-zone automatic climate control, 18-inch aluminum wheels, push button start, front and side airbags, and an brake-activating limited slip system. But if we were shopping for a Pathfinder, we’d buy the SV, as it offers tons more standard features over the S, including power seats, Bluetooth, auto headlights, fog lights, a front tow hook, dual power heated mirrors, backup camera with 7-inch touchscreen, rear sonar system, rearview monitor, proximity keyless entry, speed-sensitive wipers, and satellite radio.